Pedder Bay Marina offers 240 berths, modern floats, dock lighting and power, security and marine gas service. Shower and laundry facilities are available, as well as a full tackle and bait shop. 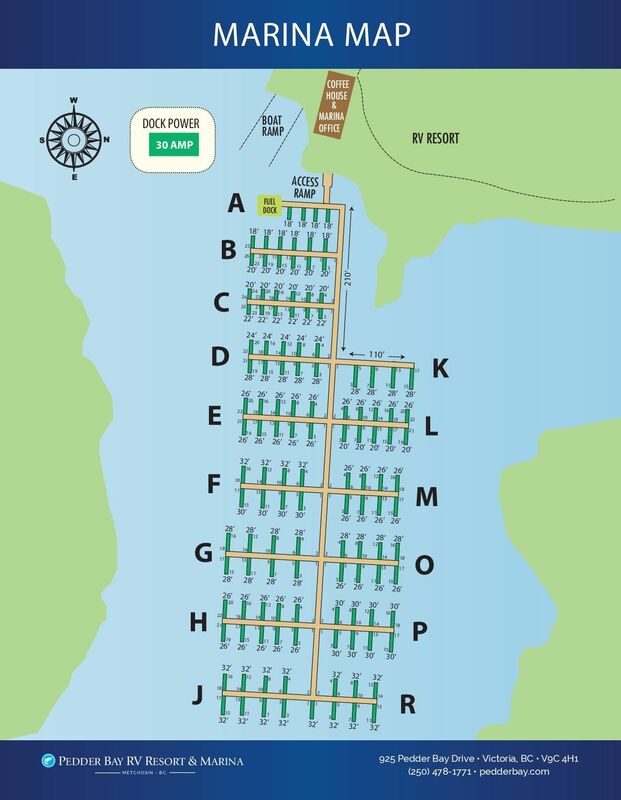 All marina customers and guests have access to free parking. 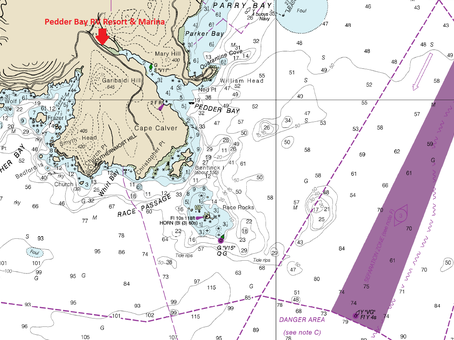 Pedder Bay Marina can accommodate vessels up to 50′ long. Pedder Bay Marina offers a three-lane launch ramp available for use from dawn to dusk at a cost of $10.00 (tax included) in/out per boat. Trailer storage is included with annual moorage. Monthly moorage customers can store their trailer for $50.00 per month. Annual Moorage customers have the option to store their vessel on land during the winter months. Winter boat storage on land for all other customers is $50.00 per month. Our fuel dock features competitive prices and friendly and attentive staff to assist you in docking your boat.